I’ve learned this through the years in youth ministry and has been reinforced in my Seminary Education. For me this is a really self-evident point and I’ve been wrestling how to express this and explain this in a short blog post. There are many intelligent people in the world. Those without ethics will do whatever it takes for themselves to be #1. They are often found out to be frauds, deceivers, and end up injuring whatever organization they are in. In the church, ethics is to live like Christ. Being in Christian employ and forsake your ethical values (being biblically grounded) and people see ministers publicly defaming Christ. These values cannot be in conflict. Passion is good, but only when employed with solid ethical boundaries. Passion helps people do beautiful things wonderfully, however, passion also drives people to cut corners and do what is best for themselves and their goals over the goals of the church and the goals of Christ. 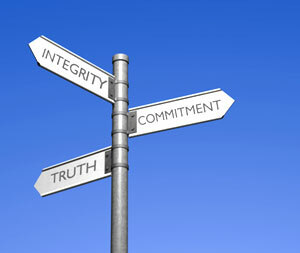 Ethics, bound in integrity, truth and commitment is key to building a solid ministry. When youth ministers forsake their ethics to serve what they think is right or what they are passionate about, they lose their calling and how Christ desires to function in their lives and this world.